Once upon a time, when the earth was young and donkey’s had horns, there was a certain man called Mukoko. He lived in a small village in the savanna plains of Africa. Mukoko had a beautiful wife called Chipo and they lived happily for many years. In the fifth year, Chipo became pregnant and the couple happily looked forward to [A1] the birth of their first child. They agreed to name the baby Simba if it was a boy and Ruva meaning flower, if the child was a girl. But, alas, tragedy struck and Chipo died in childbirth. But all was not lost. Chipo had given birth to a tiny little girl and Mukoko named her Chipo in memory of his beloved wife. Although he loved his little girl dearly, he realised that he needed help taking care of the little baby. So Mukoko married Nakai, a beautiful young woman with whom he had fallen in love. They lived together peacefully for a long time, but Nakai did not like to see how much Mukoko loved his daughter, Chipo. This made Nakai become very jealous. After a while, Nakai also had a daughter named Tino, but Mukoko did not show her as much love as he did to Chipo. This made Nakai even angrier and her jealousy now turned into hatred. One day, Nakai went to see a famous wizard and asked him to make a powerful love potion for her husband. On her return that evening, Nakai slipped the portion into Mukoko’s dinner. Her husband then fell into a deep, magical sleep and when he woke up the next day, everything had changed! He was now totally enchanted with Nakai and did everything she wanted. Mukoko no longer smiled with Chipo and he became angry with her for the smallest mistakes. Chipo was very sad because she did not understand why her father had suddenly turned against her. Little by little, Chipo became a slave in her own father’s house and although Tino and Chipo were sisters, they were as different as night and day. Chipo was well-mannered and hard-working while Tino was a lazy, bad tempered girl who didn’t have a kind word for anyone. Nakai made Chipo do all the household chores. From morning until evening she did not get any rest. One day Chipo was so busy that she forgot to fetch water from the river. The sun was going down when Chipo was ordered to go to the river and collect water for the evening meal. The mermaid of the river was splashing around [A2] when she saw the crying girl. She felt sorry for her and decided to take her away from all her troubles. Suddenly, she made a great whirlwind spring up and it picked up Chipo and dropped her right into the middle of the river. Chipo sank to the bottom of the river, but the mermaid held her by the hand and swam with her to the cave where she lived at the bottom of the river. Chipo was frightened at first, but then she found out that she could breathe under water just like on land. The mermaid’s home was as dry as the world above the waters. 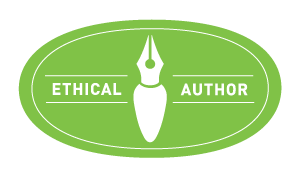 The chickens scratched on the ground, just like at home and the cows and goats played in the green meadow. It was so beautiful and everyone was happy. Chipo enjoyed playing with her new friends and she laughed a lot. She soon forgot about her troubles at home. But soon, she became very hungry. The mermaid gave her a covered dish filled with raw fish. When Chipo saw the fish, she was horrified. But she politely thanked the mermaid for the food. She decided to taste just a tiny bit and to her surprise, when she popped the fish into her mouth it instantly became a tasty meal with rich gravy and vegetables. The food was so delicious that she even licked her fingers when she reached the bottom of the dish. Chipo stayed at the bottom for the river for many days. The mermaid was always kind to her and she was very happy. She didn’t have to work all day and she could play with the animals. But she began to feel that something was missing. No matter how good life was under the river, she still missed her father. Tears filled Chipo’s eyes as she nodded. The mermaid had grown quite fond of Chipo, but one day she decided to take her back to the top of the river. When they got there, the mermaid tearfully told her goodbye and wished her all the best. 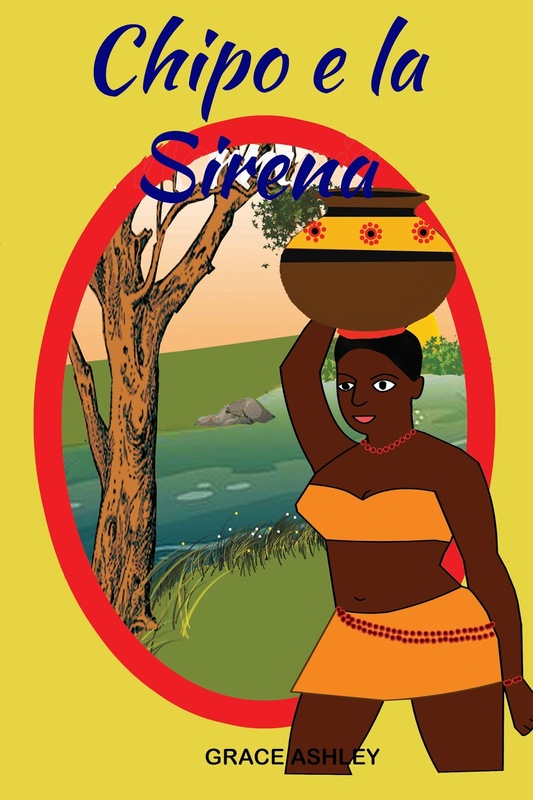 Then she gave Chipo an ugly wooden box.“Open it only after you reach home,” the mermaid said. Chipo thanked the mermaid and happily skipped home to her father. When she arrived home, her father seemed glad to see her at first, but being under his wife’s spell, [A3] he was soon mean to her again. He, his wife and step-daughter wondered why Chipo came back. But Chipo did not listen to her or throw it away. She held on to it tightly and put it in her room. That night while everyone was sleeping, the most amazing thing happened. The box began to grow bigger and bigger. The surprised family ran out of the hut. Soon, the box popped open and a beautiful hut came out of it. Next came the most beautiful clay pots and jars filled with all kinds of jewels. Then lots of cattle, chickens and goats soon followed until the yard was filled with animals. Servants wearing brightly coloured clothes sprang out and they all bowed to Chipo and called her mistress. 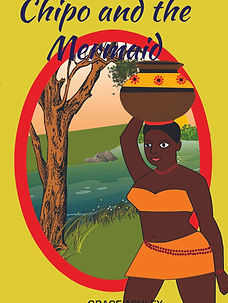 Now Chipo became a very rich and powerful woman all because of the mermaid’s gift. So she no longer had to work day and night. Chipo wanted her father to come and live with her, but her step-mother said no. Nakai was now even more envious of Chipo. She wanted what she had for her own daughter, Tino. So she began to send her daughter to the river every evening hoping the mermaid would also take her to the bottom of the river. A week passed, but the mermaid did not take Tino. Then one evening, the lazy girl was walking down the rocky river path when she stubbed her toe on a sharp stone. She quickly sat down and began to cry piteously. Hearing the girl’s cries, the mermaid popped out of the river and invited her to come to her home at the bottom of the river. 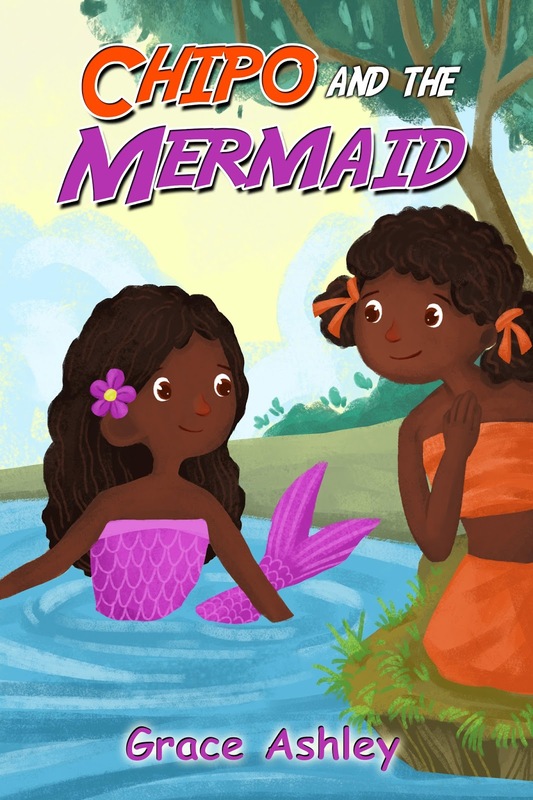 Tino readily agreed, hoping she would have an even better gift than Chipo from the mermaid. When the mermaid got to the cave, she offered Tino some raw fish to eat. Tino was so upset by the fish, that she flung it into the mermaid’s face. “But down here at the bottom of the river, we only have fish to eat,” the mermaid tried to tell her. After that, Tino refused to do any work. She just lay around doing nothing, while the mermaid did all the work. Whenever the mermaid asked her to help, Tino would say she was tired. Finally, the mermaid could take it no longer. Tino was rude and lazy. So she decided to send her back home. “Tino, I think it is time you went back home,” the mermaid told her. Tino was glad to hear this. “Are you ready to go?” the mermaid asked. “Because I’m waiting for my present,” Tino told her. “You must give me something after all I had to spend three days in this awful place and eat all that raw fish. I want a present like what you gave Chipo or even better,” Tino told her as she waited. “Oh, I see!” said the mermaid. The mermaid went to her treasure chest and came back with a shiny gold box and gave it to her. “Open it only after you get home,” the mermaid told Tino who grabbed it out of her hand. When she got back to the river bank, Tino happily skipped home and showed her mother the beautiful box the mermaid had given her. Nakai was very pleased. Surely a golden box would produce greater wealth than an ugly wooden one. Nakai chased her husband from the house and she and her daughter shut the door tightly behind him. They did not want to share their treasure with anyone. They placed the box in the middle of the floor and did not sleep at all as they waited excitedly for the magic to work. At the stroke of midnight, the box began to grow bigger and bigger. The mother and daughter laughed and rubbed their hands in glee as they waited for the treasure to appear. But Nakai and Tino where very surprised when the tawny ears of a lion came out first. Soon, a pride of lions jumped out and surrounded them. There was no escape for they had locked the door. No sooner had they come out of the box, the lions fell on them and ate up both the mother and her daughter. When Chipo and her father woke up the next morning, they were surprised to see a pride of lions sleeping next door. With Nakai’s death, the spell over Chipo’s father was broken and he and his daughter lived happily ever after.